Published March 31, 2017 at 640 × 427 in 13)Acadien Flag_640x427. 'Acadian Flag on building" The bilingual inhabitants along shore from Digby to Yarmouth are descendants of the first European settlers, who came from France in the early 1600s. After the Expulsion of 1755, many of Nova Scotia's Acadians came to this area years later to build new communities, turning to the sea for their livelihood. 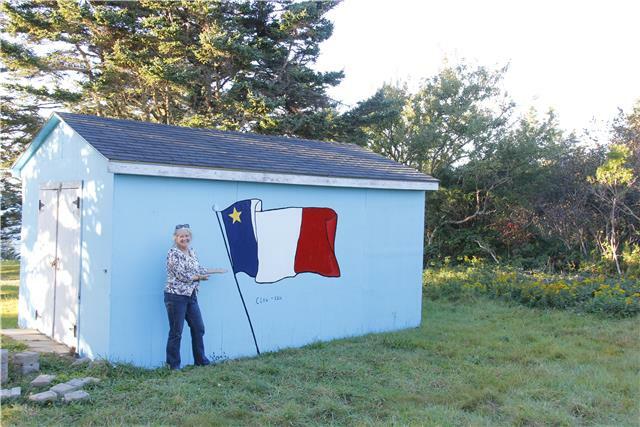 You’ll see Stella Maris - the Acadian flag – flying from many of the houses and it represents their patron Saint Maria.